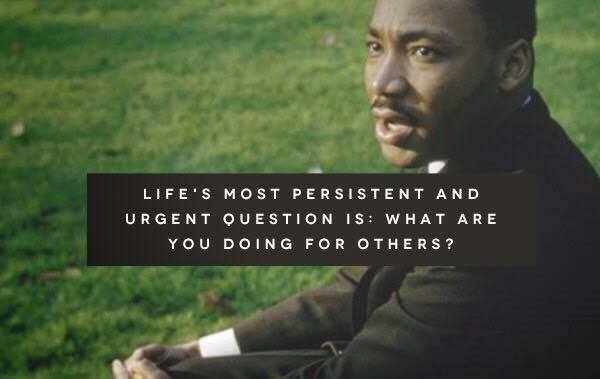 Today is Martin Luther King’s birthday. Today, more than ever, we need to heed his message. Whether you apply it to today’s bizarre political scene, your local community, your family, your co-workers doesn’t matter. What matters is the operant word: doing. That picture and those words got me to thinking. What AM I doing for others? And what still needs to be done? My commitment is to spread awareness of Chronic Kidney Disease (CKD). As a patient myself, I know how important this is. As you know, CKD is a costly, lethal disease if not caught early and treated… and it’s not just older folks – like me – who are at risk. 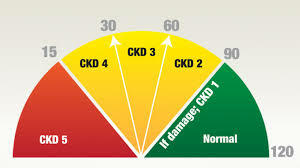 One out of ten people worldwide has CKD, yet an overwhelming number of them are unaware they have it. We also know the disease can be treated, just not the way you’d usually expect a disease to be treated. A diet with restrictions on protein, potassium, phosphorous and sodium is one aspect of that treatment. Exercise, adequate sleep, and avoiding stress are some of the other aspects. Some patients – like me – may have to take medication for their high blood pressure since that also affects kidney function. Imagine preventing a death with lifestyle changes. Now image saving the lives of all those who don’t know they have CKD by making them aware this disease exists. Powerful, isn’t it? We’re all aware by now that the basic method of diagnosing CKD is via routine blood and urine tests. Yet, many people do not undergo these tests during doctor or clinic visits, so don’t know they have Chronic Kidney Disease, much less start treating it. That’s where I come in; I tell people what can be done. I tell people how they can be diagnosed and treated, if necessary. I was a private person before this CKD diagnosis so many years ago. Now, in addition to a Facebook page, LinkedIn, and twitter accounts as SlowItDownCKD, I make use of an Instagram account where I post an eye catching picture daily with the hashtag #SlowItDownCKD. This brings people to my weekly blog about CKD (the one you’re reading now) and the four books I wrote about it: What Is It and How Did I Get It? Early Stage Chronic Kidney Disease (which explains CKD) and the others – The Book of Blogs: Moderate Stage Chronic Kidney Disease, Part 1; The Book of Blogs: Moderate Stage Chronic Kidney Disease, Part 2; and SlowItDownCKD 2015 – which are the blogs in print for those who don’t have a computer or are not computer savvy. Healthline is a well-respected, informative site for medical information. 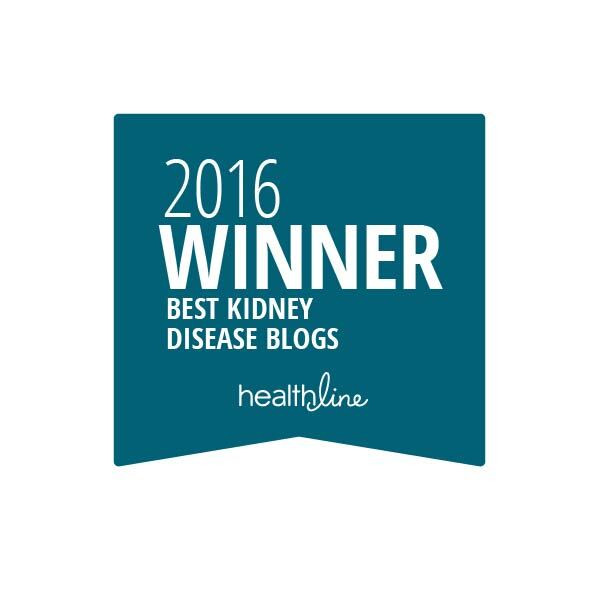 This past year this blog, SlowItDownCKD, was a winner in their list of The Six Best Kidney Disease Blogs. That brought the hits on my page up by the hundreds. That means hundreds more people are now aware of Chronic Kidney Disease, how it is diagnosed, how it is treated, and how to live with it. But not everything is working as I’d hoped it would. Unfortunately, I am still not having success in having Public Service Announcements placed on television or radio. Nor have I been able to interest most general magazines or newspapers in bringing the disease to the public’s awareness. It hasn’t totally been a wipeout there, though. Michael Garcia did interview me on The Edge Podcast and both Nutrition Action Healthletter, Center for Science in the Public Interest (the nation’s largest-circulation nutrition newsletter) and New York State United Teachers (membership 600,000) ‘It’s What We Do’ profiled my work spreading CKD Awareness. Profiling my work, interviewing me, mentioning the blog all bring awareness of Chronic Kidney Disease to the public. Awareness leads to testing. Testing leads to diagnosing. Diagnosing leads to treatment. Treatment leads to saving lives. This is why I do what I can to spread awareness of Chronic Kidney Disease. What about you? Can you speak about CKD with your family? Your friends? Your co-workers? Your brothers and sisters in whichever religion you follow? What about your neighbors? I was surprised and delighted at the number of non CKD friends and neighbors who follow the blog. 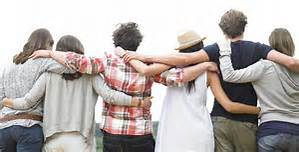 When I asked why they did, they responded, “I have a friend….” We may all have a friend who may have CKD, whether that friend has told us yet or not. There are more formal methods of spreading this awareness if that interests you. The National Kidney Foundation has an Advocacy Network. “A NKF Advocate is someone who has been affected by kidney disease, donation or transplant and who wants to empower and educate others. These include people with kidney disease, dialysis patients, transplant recipients, living donors, donor family members, caregivers, friends and family members. You can read more about this program at https://www.kidney.org/node/17759 or you can call 1.800.622.9010 for more information. The American Kidney Fund also has an advocacy program, but it’s a bit different. Obviously, I’m serious about doing that which will spread awareness of CKD. You can take a gander at my website, www.gail-raegarwood.com, to see if that sparks any ideas for you as to how you can start doing something about spreading awareness of CKD, too. I urge you to do whatever you can, wherever you can, and whenever you can. I’m sorry you’ve become ‘one of us,’ but am thrilled you’ve decided to become an awareness advocate. Please share my blog, my books, and my Facebook page. If you go to my website, you’ll find articles I’ve written, interviews I’ve given, and podcasts I’ve been part of…all about Chronic Kidney Disease. Please feel free to share ALL of them!